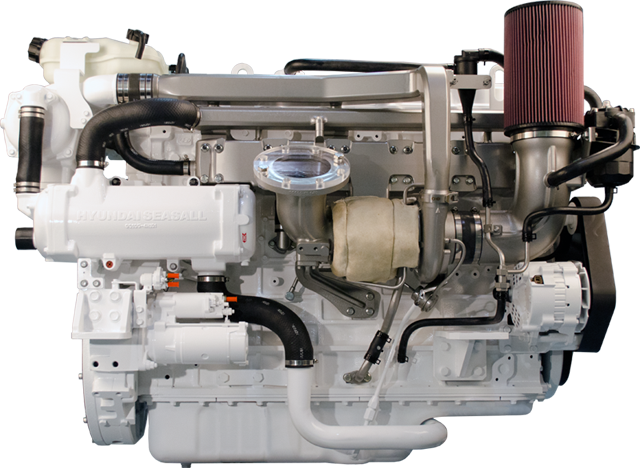 Hyundai SeasAll has announced new power ratings are available within the 'L' series engines. Hyundai SeasAll has now expanded the L13 range adding to the existing 500hp continuous duty version to include additional models at 530hp @ 2000 rpm and 600hp @ 2,000 rpm for medium duty applications. The robustly-designed unit was specifically conceived as a heavy duty engine with the ability to serve the professional and commercial markets. It has stable performance at high load and responds well to sudden load changes. Excellent power and torque in a wide rpm range proves Hyundai SeasAll's diesel development capabilities are world-class and beats the performance of competition's comparable models. Economy is assured by the state-of-the-airfuel management system featuring electronic unit injectors (EUI). The electronic engine control system makes it lighter, quieter and more fuel efficient in a surprisingly compact package. The L-13 provides excellent value-both at the time of purchase and during operation. It is economical and clean running-both attributes which appeal to the professional mariner. 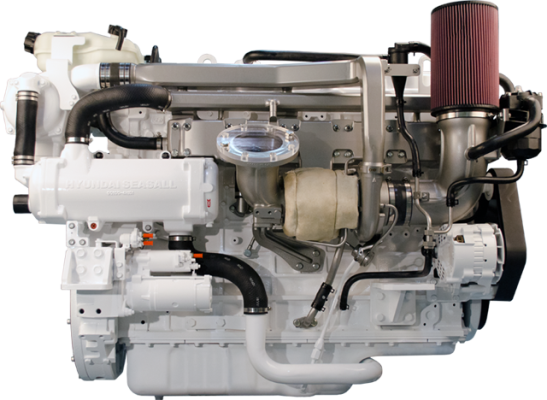 Please see the engine range section for more details and brochure.